What will our communities on Mars look like, and how will they be constructed? Inflatable housing is not a new concept, and it has been developed since the 1960s when NASA commissioned tyre company Goodyear to create an inflatable space station. At the time Guillermo Trotti was an architecture student and proposed an inflatable community to inhabit the moon named Counterpoint: A Lunar Colony (1974), with Buckminster 'Bucky' Fuller as his advisor. Now, forty years on, Lansdorp is suggesting another community incorporating inflatable housing, this time on Mars. 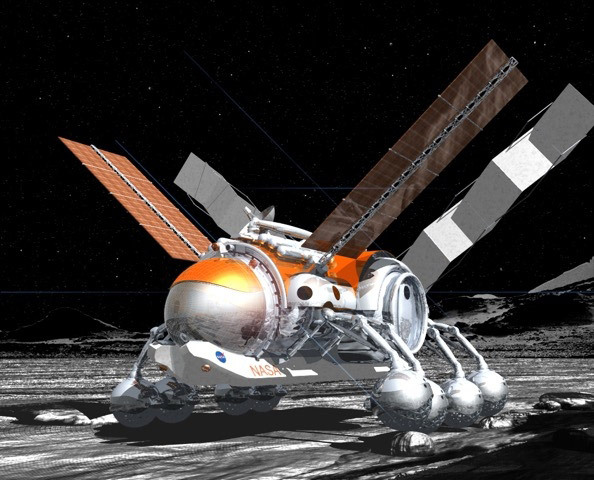 Below is Trotti's proposal to explore the moon: The Scorpion Lunar Rover, which began in 2007 and was funded by NASA Innovative Advanced Concepts (NIAC). 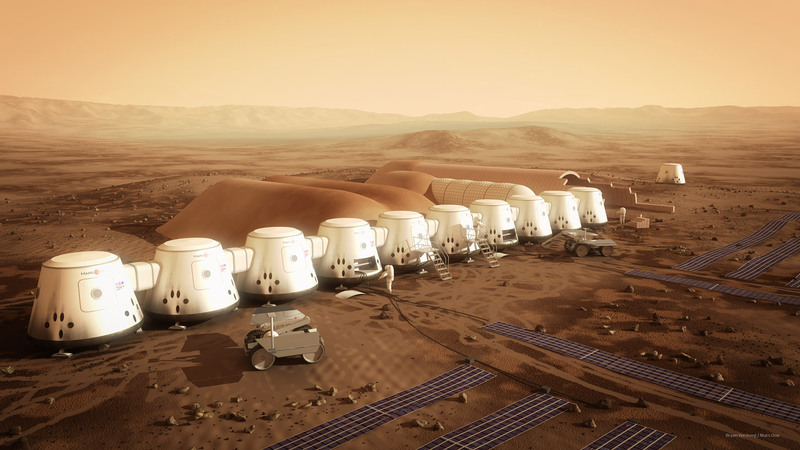 Mars One has proposed a community of living units, lander modules and a greenhouse, created from a variety of structures. The planned outpost would be crafted from rigid modules and feature an expandable inflatable living area with an airlock. This unit would be installed by rovers prior to the astronaut's arrival and filled with breathable air from the life support unit. 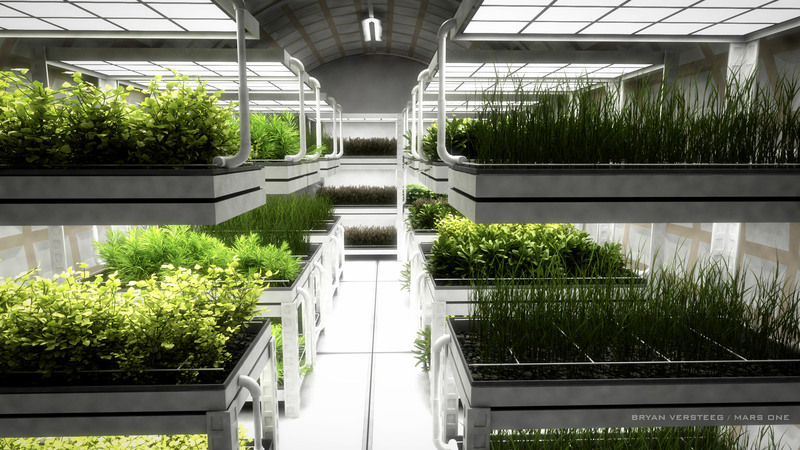 Additionally, some units will contain materials to construct more living quarters upon the arrival of more astronauts, according to the Mars One website. 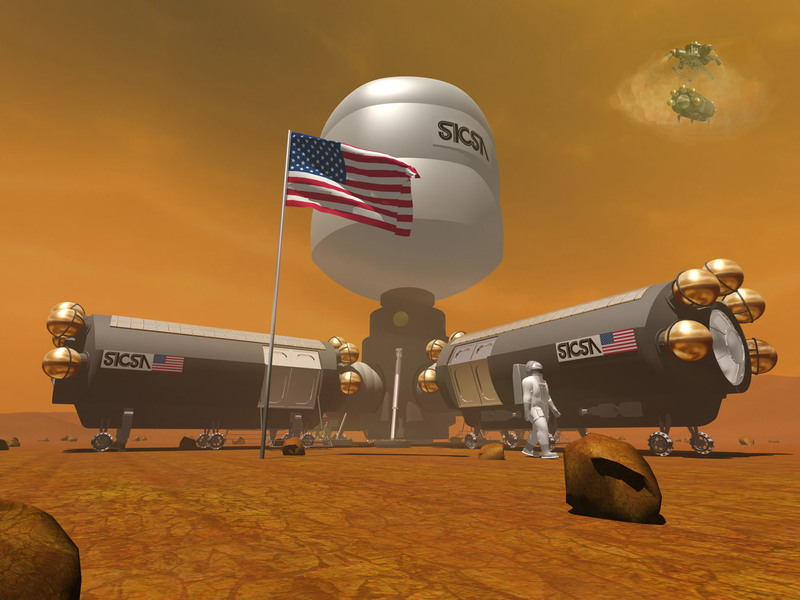 In terms of making these designs work, the inflatable quarters would be deployed after safely arriving on the planet, using a gas tank inside the rigid structure. As you can see from the images below, using a combination of materials has become a common solution for a Mars habitat. The modules are comprised of a hard shell with inflatable habitats either on top or interconnecting the rigid areas. 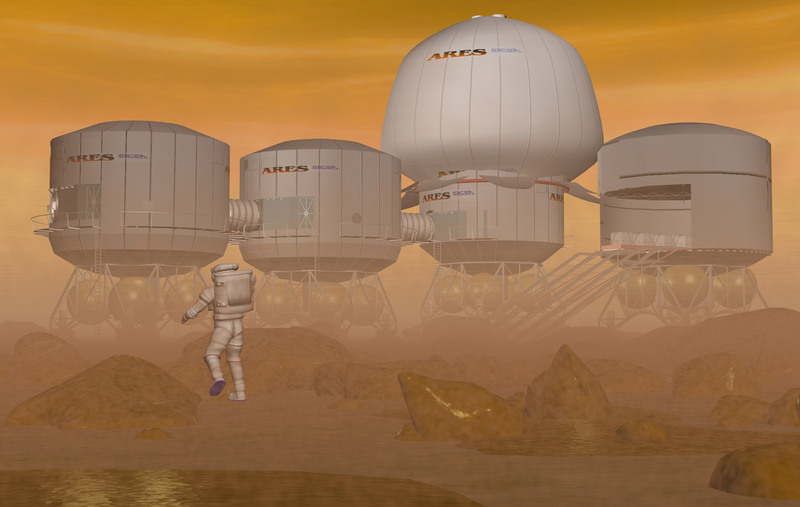 How will inflatable houses survive Mars's hostile environment? A flimsy, balloon-like structure comes to mind when thinking of an inflatable house. The material needs to withstand the hostile environment on Mars including galactic radiation and extreme temperatures to prevent deterioration. Trotti has years of experience designing for extreme environments, working with NASA on the crew quarters for the ISS, lunar bases, Mars vehicles and Antarctica's South Pole Station. With regards to overcoming the galactic radiation, there are specific coatings that are applied and act as a protective shield from the cosmic radiation. These coatings are used to cover all structures that enter space. Without it, the structure would simply deteriorate. How soon can we settle on Mars? Sherwood, programme manager at NASA JPL, shares a more sceptical view of a Martian settlement. However he has good reason to, having spent years working on the design for structures to travel past the moon and engineering mission concepts to execute humans to Mars. 'There are multiple critical technologies that have to be ensured before you can even do the first mission,' said Sherwood, member of the American Institute of Aeronautics and Astronautics. 'Technology developments are notorious for having unpredictable schedule and cost. Therefore combining these two factors, it is analytically impossible to predict the schedule for all those projects and say, for example, we will have humans on Mars by 2035. You simply cannot predict that. 'It's impractical to imagine that this can be done fast and inexpensively, but it's actually much harder even than NASA admits.' Sherwood continued. Whether NASA or Mars One reach Mars in the next thirty years, or the next hundred, it will unquestionably take humanity to the next level in space exploration, opening up infinite opportunities for discovery.